For a lot of people shopping has become a regular habit; consumption is seen as a hobby and an emotional release. Mindless shopping can lead to us spending more than we can afford, buying things we don’t really want or need for an adrenalin rush that doesn’t last very long. Shopping can become a compulsive habit that’s tough to stop. 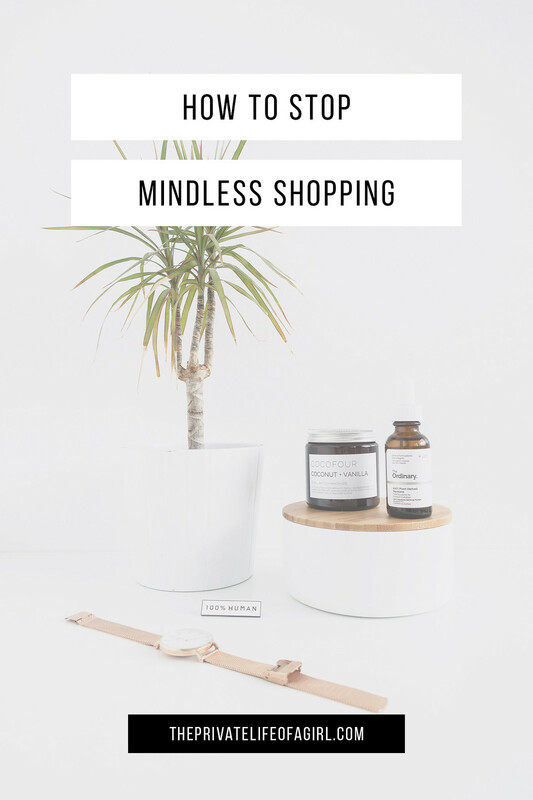 I know because I used to spend mindlessly; my journey to minimalism taught me to be intentional with my purchases and to be happier with less. If you’re stuck in the trap of shopping for fun, here are five ways you can prevent mindless shopping, become a more conscious consumer, and save money for the things you really care about. Understanding what you value in life and focusing on your priorities makes it a lot easier to curb spending and take control of your finances. Shopping for new things or owning too much often gets in the way of what we really want; more room, more time, more money, more opportunities. Perhaps you want to save money to travel, upgrade your home, or create an emergency fund; whatever it is you prioritise consider how your spending may affect those goals. Before you make any purchase ask yourself, “what do I want more?" The value of understanding your style is two-fold: it helps you create a home you love and wardrobe that empowers you but it also helps you recognise when something isn’t the right fit. Curating your style makes you a better editor; it allows you to appreciate pieces for what they are without having to own them. Knowing your sense of style well allows you to walk away from things that, while they look good, would not fit in your home or your wardrobe. Understanding your personal style can take a while and the process is best developed by investing time rather money into creating it. It’s worth considering a spending ban and using tools to develop your style; using Pinterest to curate colour palettes and outfits can help define your personal style. Shopping is often an emotional experience; we’re prompted to shop for all kinds of reasons from low self-esteem, boredom, sadness, or entitlement. The excitement of owning something new quickly wears off. Knowing your triggers and recognising when you feel the urge to shop is key to preventing those thoughts and feelings. Social media, blogs, and fashion magazines can groom us into wanting the latest trend-led pieces; experiencing emotional turbulence can encourage us to feel we “deserve” to spend money on ourselves; and low self-esteem or boredom can lead to us buying a whole new wardrobe. Everyone’s trigger may be different, recognising yours and taking steps to avoid them will help you avoid mindless spending. Follow my personal Pinterest account to see how I use it. One of the best things you can do when it comes to capping mindless spending is create a wishlist. A simple list of items your wardrobe or home is missing keeps you on track and curbs impulse purchases. Create a wishlist of items in a notes app that you can access via your phone and desktop; this list should be simple, itemising things you need by name or type, nothing specific. Use a wishlist service (like Amazon’s) to pin specific items to it once you’ve found the options you’re considering buying. This acts as a go-to when you’re considering making a purchase; any time you’re about to spend money, remind yourself of the wishlist. 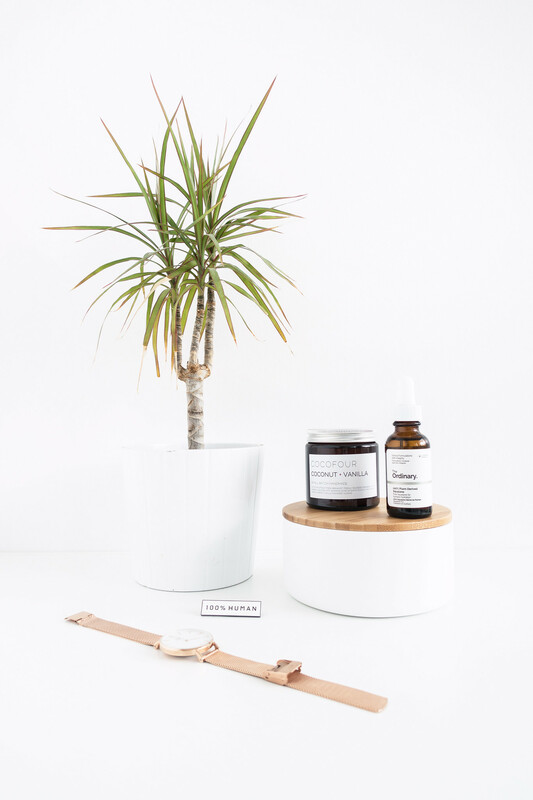 Creating a wishlist, researching the perfect item, curating a selection of items you want to buy, means you have time to look for quality and gives you the breathing space you need to prevent impulse purchases. Once you have a firm idea of your personal style, know your triggers, and have created a wishlist, the only thing left to do is plan to shop. Rather than shopping on a whim, planning when to purchase new items completely irradiates mindless shopping. Shopping is not a hobby and shouldn’t be considered one; instead it should be treated only as a necessity when something is truly needed. That’s not to say it can’t be fun. New purchases are much more appreciated when it's something we have been wanting and needing for a while; when the time comes to invest in an item the experience can be incredibly rewarding.